15 months later, I have mixed feelings about my major purchase — and many of them are caused by Apple’s new MacBook Air with Retina display, which is the laptop I wish I had bought. And now, just over a year later, I regret my purchase. It’s not really a knock on the MacBook Pro with Touch Bar — although there are issues — it’s just that the new MacBook Air is the right machine for what I need to do, and I’m frustrated that there was no similar option when I needed a new Mac. It’s not that the MacBook Pro with Touch Bar is a bad machine — I’ve worked on it, traveled with it, and generally used it heavily, as I expected when I purchased it. The MacBook Pro with Touch Bar also has disappointing battery life — about four hours, in my experience. It’s bad enough that when working in the field and covering events like Apple’s iPhone launch, I frequently need to plug-in before the day is done. My 2011 MacBook Air had better battery life. Finally, my MacBook Pro with Touch Bar has the „sticky key“ problem that’s led to a slew of stories and even class-action lawsuits. The „1“ key sticks and sometimes types two 1’s when I only mean to press it once. The spacebar sometimes doesn’t register. For example, although it has Apple’s Touch ID fingerprint scanner — a nice feature — it doesn’t have the Touch Bar, bringing back my beloved media controls and escape key. And it has an improved keyboard that should address the sticky key issues I’ve experienced. Apple even highlighted it at its launch event in Brooklyn. 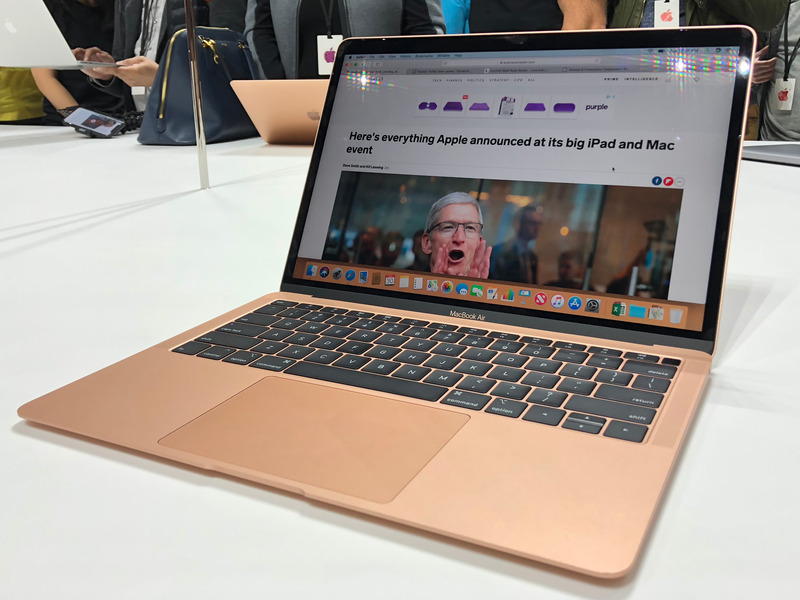 „The new MacBook Air has our latest-generation keyboard with keys that offer four times the stability over the previous generation, creating a modern keyboard with a more precise and responsive typing experience,“ an Apple official said at the launch. While the price — starting at $1199 — isn’t that far off from what I paid for mine, especially after upgrading the storage and RAM, it’s hard to not feel buyer’s remorse. The MacBook Air does still have some shortcomings compares to the Pro — it has a less powerful Intel chip, for example. But I don’t really need massive processor power. But I think a little bit of my annoyance is due to the fact that all of these changes could’ve been made in 2017. People were complaining about these issues with the MacBook Pro back then. Apple never said it was preparing a new computer that addressed the issues — it never talks about upcoming products. People who now buy the new MacBook Air seem happy, and are likely to say they’re satisfied with their purchase. But by not having a reliable release schedule and a roadmap for future updates, there’s a chance that some people — like me — will end up in a generation of customers who are stuck with a laptop they’re not completely happy with.